Spring is blooming and that means its time for the top Spring 2019 Fashion trends of this year. We are loving the new pops of color that are taking us from the polar vortex of winter to the warm sunny days of spring. 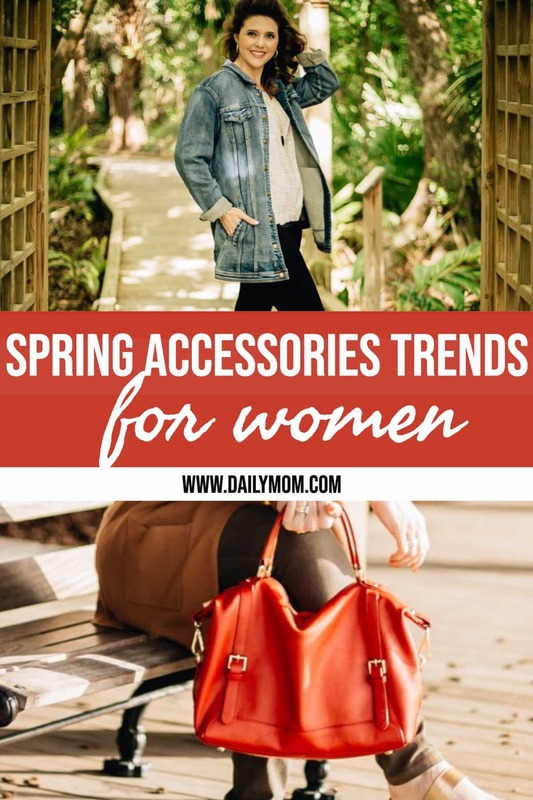 From accessories to booties to bags that take you from work to home to date night- Daily Mom has you covered for all the top spring 2019 fashion trends this year. We love a simple-styled bag that is made with genuine quality and durability. Dress up your accessories with this genuine pebbled and suede leather backpack, accentuated with gold-tone closures. Adjust your fit with the straps to be relaxed for over the shoulder or keep it tight and personal right next to you. 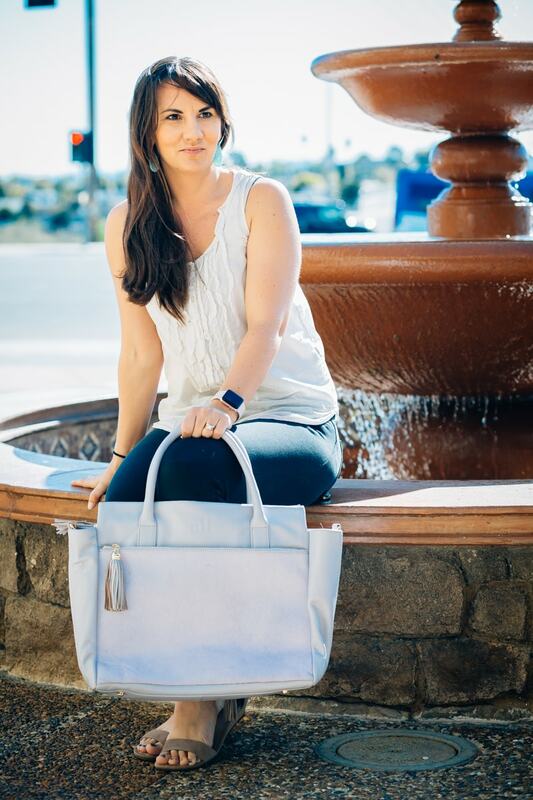 When you need a quick bag that says, Meet me at the winery in the tulip fields next to the lake, this genuine pebbled leather with gunmetal closures is your perfect wine bag. 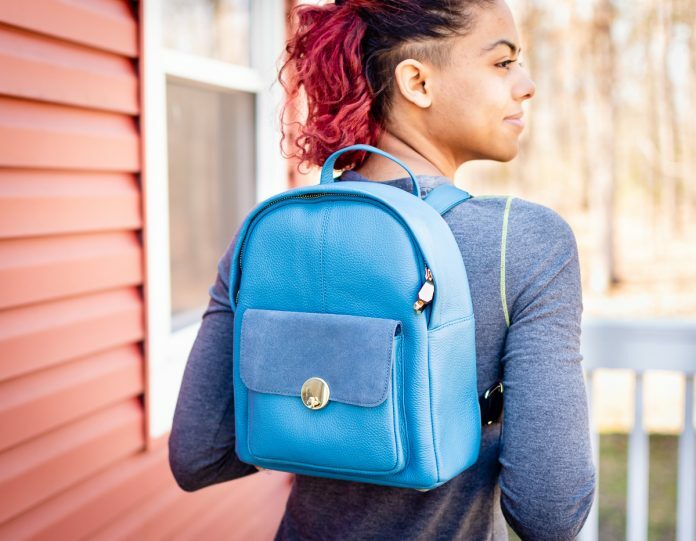 Its square modern style enables it to easily hang on your hip for easy access, the back of a chair, or sit atop a table looking fabulously chic. All of your necessary accessories easily accessible without it feeling like a bulky handbag for a night on the spring town. Springtime is all about that POP of color. Ditching the winter blues doesn’t mean getting rid of all your black and gray clothing (at least not for some of us), but brightening up your wardrobe with a bit of color is always fun. Treat yourself this Spring season with a beautifully crafted, colorful bag from Ora Delphine. Whether you’re a professional working woman, a wrangler of little people, or (most likely) a combination of both, this Spring is the perfect time to update your bag. Perfect for the upcoming Spring and Summertime we love the Adele Satchel in Cardinal from Ora Delphine. 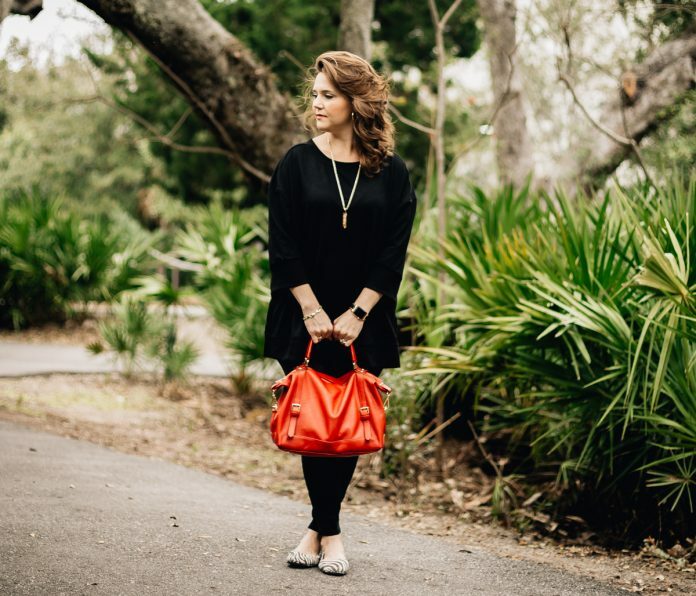 Trendy and chic, but still large enough to carry everything from wallets and cellphones to an extra diaper or sippy cup, this leather purse with gold accents comes in a variety of colors perfect for every personality. Kick up your heels this Spring at everything from the Strawberry Festival to a date night with the hubby. 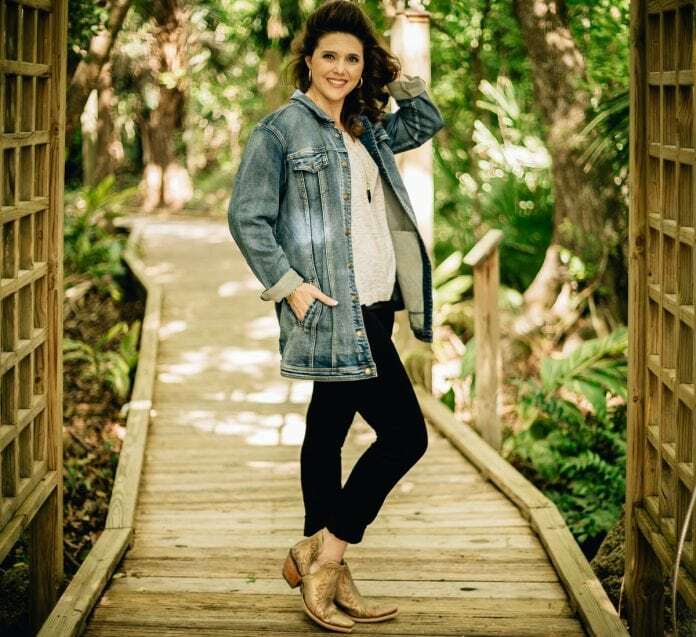 Boot Barn has tons of new styles for the whole family perfect for the Spring season. Once that snow is melted and gone, put away those hot, heavy snow boots and pick up a pair of western boots or booties that will never go out of style. We love the Ariat Women’s Dixon Bootie perfect for Spring time weather. Day or night, these booties are just fabulous, keeping your footbed nice and secure while offering the trendy and timeless look of a western boot. Paired with everything from skinny jeans to a denim skirt, these will become your go-to shoes for the season. Featuring ATS technology for stability and all day comfort, a cut out side design for easy slip on and off, and an 2 3/4″ heel these boots will become a staple in your wardrobe in the foreseeable future. You’re guaranteed to fall in love with the comfort and design of these western booties. Liliac and lavender are super on trend, and these uber organized Stella diaper bag and tote from Alf the Label will be something you find yourself carrying all spring season. It is made from soft, full grain leather with a style addition of lilac cowhide giving it a soft and supple feel that just looks so pretty on your arm. And this bag doesn’t scream “diaper bag” so you will find yourself keeping it long after you are carrying around diapers, wipes, and toys. It can be worn as a tote or a cross-body, too giving you styling options all spring and summer long. Need a good excuse to buy a new pair of shoes? 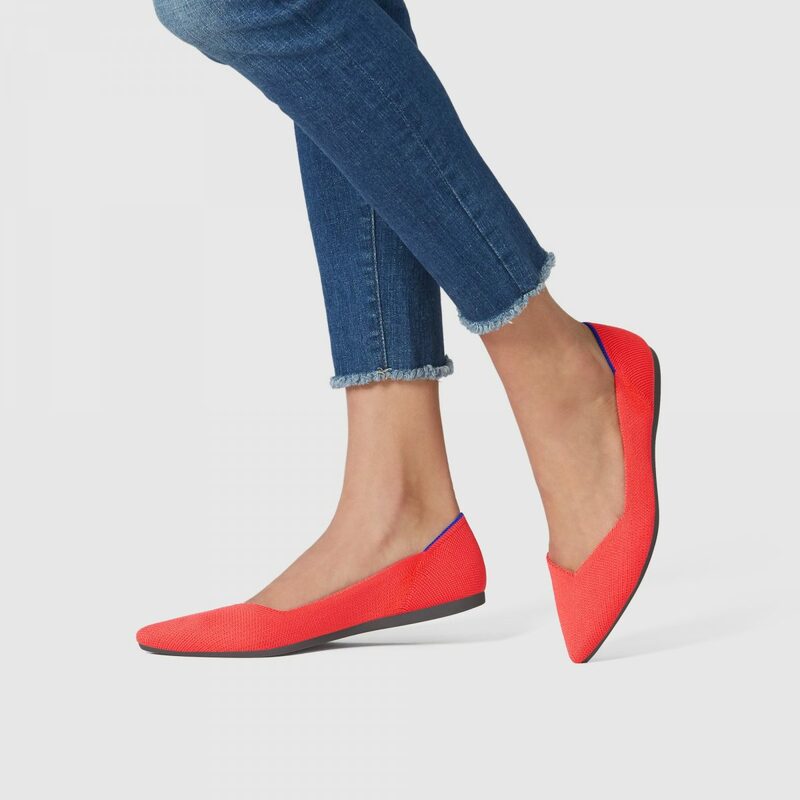 Rothy’s modern pointed toe flat is sure to add a little color to your spring wardrobe, and give instant polish to any outfit. A pop of red has always been known to add a little something special, but we feel like this bright pop of orange-red found in The Flame is just what we all needed after a long winter. 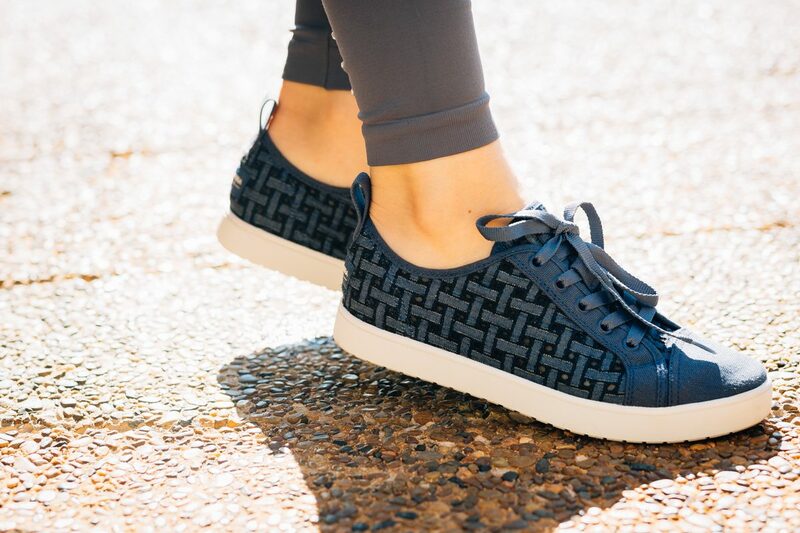 Made from recycled water bottles 3D-knit into a stretchy yet dense fabric, Rothy’s shoes are stylish and sustainable. Your one stop shop for shoes for the family this Spring is Rack Room Shoes. With everything from dress shoes for the Easter church service to casual kicks perfect for outdoor exploration, there is a pair (or two) for mom, dad, and all the kids. Carrying brands such as Nike, New Balance, and more, Rack Room Shoes is sure to please even the pickiest shoe shopper in your crew. This season we love both the Nike Boys Star Runner and the Nike Downshifter 8 for kids. Ideal for a rough and tumble boy’s day of play, these kicks will hold up to all his lively antics now that winter is over and he’s back outside in his element. Mom’s will love the supportive style and easy on/off fastening he can manage himself, while he is sure to love the variety of colors to choose from, along with the all day comfort. Don’t forget to pick up a pair for mom this Spring, too. Perfect for those days at the baseball fields, or a simple walk through the gardens, New Balance has a wide selection of their classic kicks in pretty and pastel Spring colors she will love. Comfort is key for moms everywhere, so keep her stylish and on-the-go all season with a pair of New Balance Women’s 515 kicks in Pale Pink. Spring is coming and that means you need to up your shoe game. Put away those snow boots and grab a few new pairs of every day flats and sandals from Koolabura by UGG. The Saige sandals are going to be your go-to when with your favorite dresses and skirts this spring. 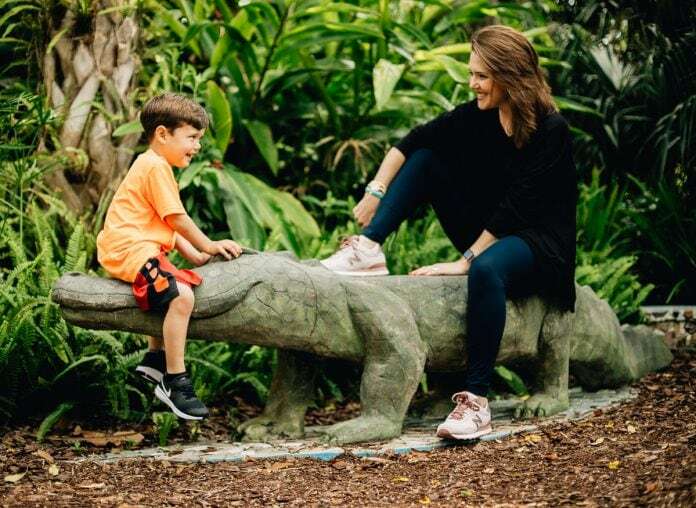 The comfy shoe bed offers arch support all day long so you can wear them to the park with the kids and then out for a date night later. The soft suede gives you the ability to wear it casually or dress it up, and the slight heel and tassle make it fun to wear. Your jeans will love you when you pair them with the Kellen low lace denim sneaker. You can wear these grocery shopping, hitting up your favorite aisles at Target, or even for a day at the theme park. Its super lightweight and easy to clean so you can wear it for all of life’s spring adventures. April showers, bring May flowers; and if the weather we’ve been having is any indication of what we can expect this Spring or Summer, we all better have a solid pair of rain boots! Chooka’s equestrian-inspired Brinn tall black rain boots will not only keep your feet dry but stylish this rainy time of year. With a smooth black matte finish and antique brass hardware, these boots look great worn over jeans or leggings; and the memory foam insole makes these boots ultra-comfortable when walking around. Nothing speaks #bosslady like bags that do the talking for you this spring season. 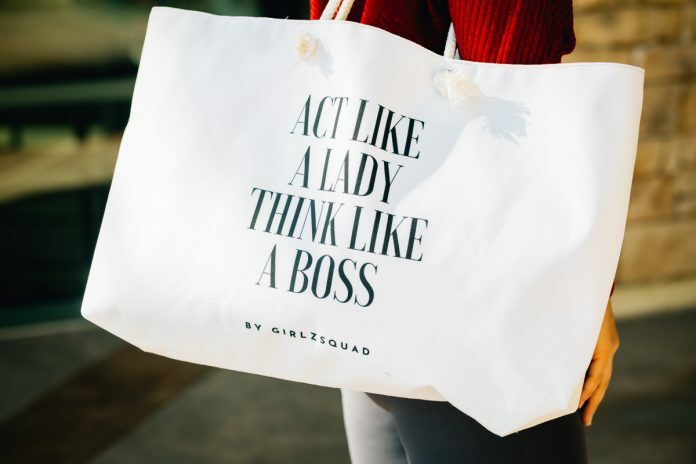 Girlzsquad creates weekender bags and totes with quippy lines that will have you laughing and loving (for how totally relatable they are to your life). 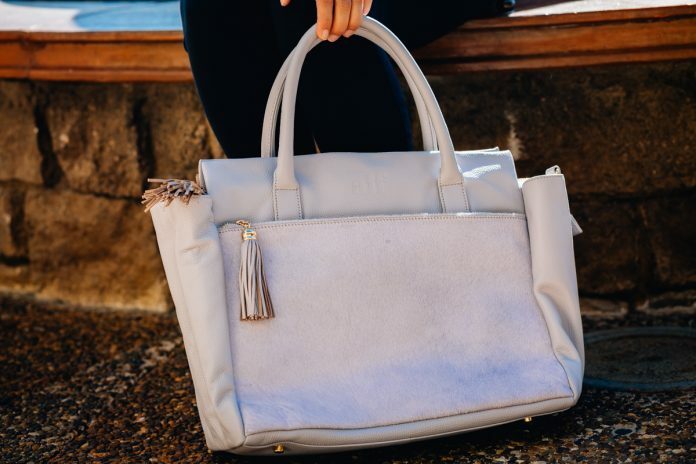 The “Act Like a Lady, Think Like a Boss” weekender bag is perfect for those quick business trips or to the gym. Its rope handles are strong (like you) and can carry the heavy load you have on your shoulders (both literally and figuratively). The “Sarcastic? Me? Never” tote is exactly what you need when you’re working at your favorite coffee shop and just don’t want to be bothered. 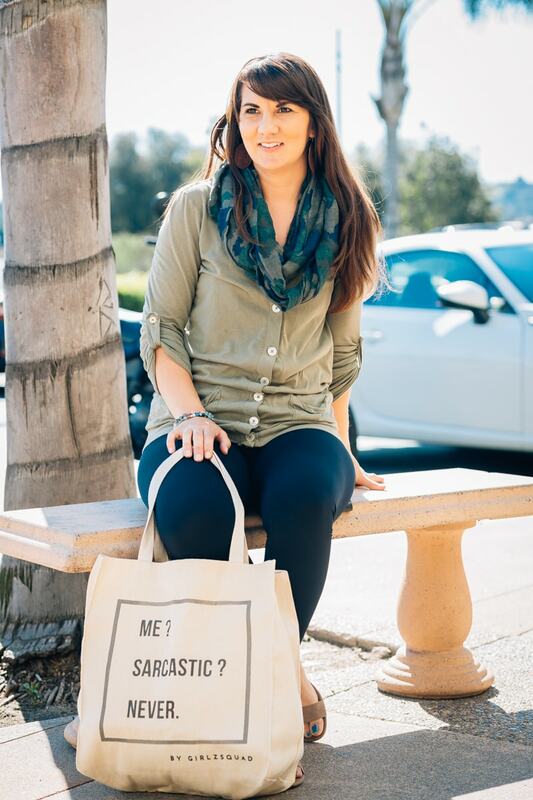 The tote is a great size for a quick grocery run or to carry your laptop and other necessities. 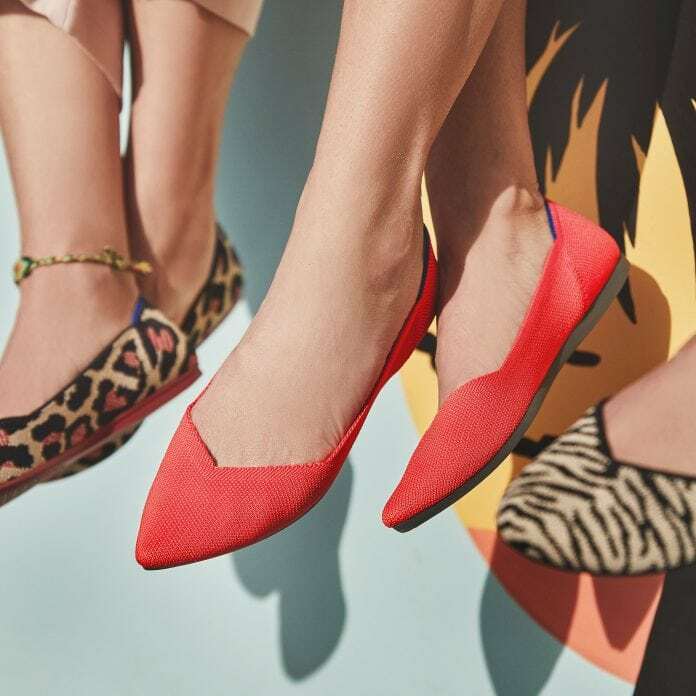 Graphic totes, unicorns, shoes for all occasions, and accessories to make your outfits pop- these are just a few of the 2019 Spring Fashion trends this season. Daily Mom has found a few of our favorites that are perfect to take you from the playdate to date night. Check out more of our Spring Fashion finds with these 12 Spring Clothing Brands for Kids.